I wanted to share the new design of our 30th Anniversary Room Sponsor plaques. potential to help up to 55 families that will stay in Room 205 this year. Why should someone sponsor a room? Because as a Room Sponsor, you will literally be a part of our House for a full year and you can make this your annual gift to us. We have 36 guest rooms and some of those rooms do not have a sponsor plaque on their doors. 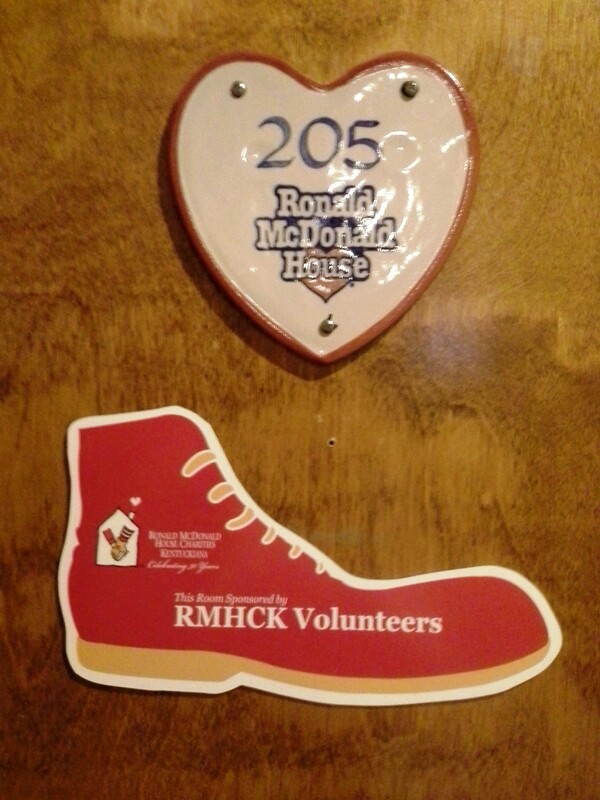 Help these room and doors feel special by visiting https://rmhc-kentuckiana.org/give/room-sponsorship/. Previous Post: « Spring Is Here!